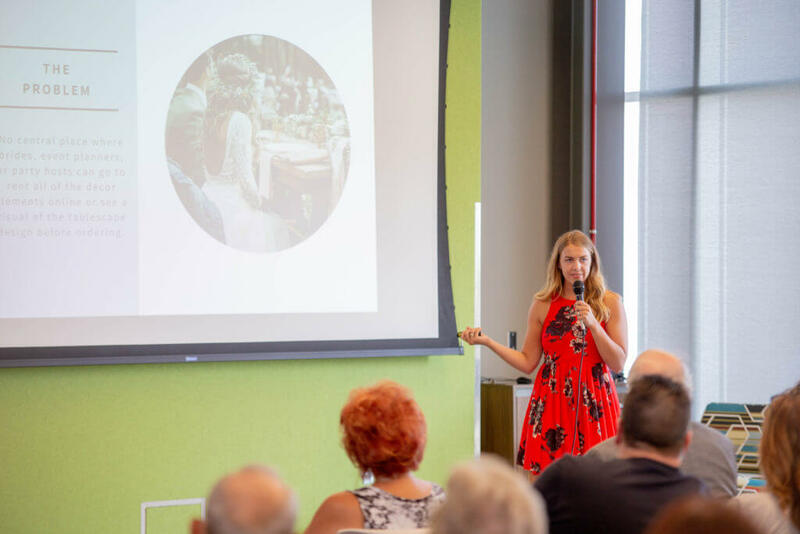 Ashley Jones, founder of Swoon Event Studio, was sitting in a flower truck on the way to set up an event as an intern when she was struck by an epiphany. When people reached out to plan an event, they knew what they wanted, but did not have the tools to do it themselves. She thought, “What if people could customize what their event will look like online and then rent the items?” After a few short months, Ashley is now in the process of launching her own online business, Swoon Event Studio, and is revolutionizing the way party planners and others can plan the event of their dreams. What is Swoon Event Studio? Swoon Event Studio will be a platform for brides, event planners, and party hosts to create their own tablescapes and then rent the items for their event online and in one location. Users will be able to start with the Lookbook feature and browse through different occasions and looks from style shoots and actual events, piece the products together, and then rent the items. Jones is in the process of planning her own wedding and understands it can be hard to visualize an idea, which is why the studio will be useful in letting clients play around with different layouts. Where are you today in developing Swoon Event Studio? We are in the process of developing the Lookbook. In the future, our end goal is to add on the Design Studio, which is where clients can customize each item on the table. The Design Studio will have a 3D rendering feature so they can move around to see different angles of what the final product will look like. 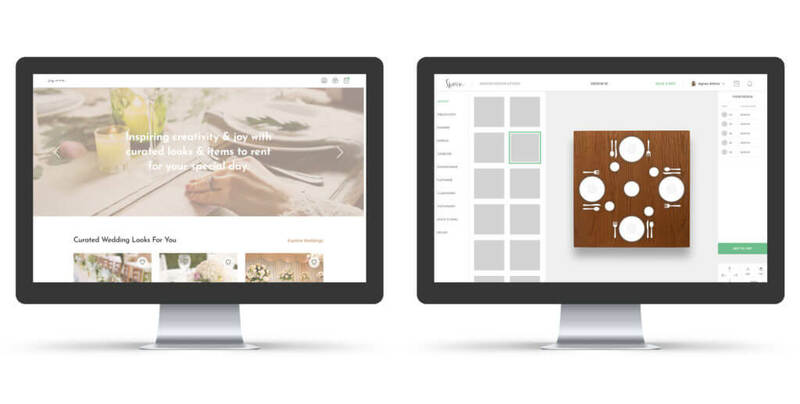 With a tool like this, clients will be able to really visualize their customized tablescapes. Our target market includes any engaged couple who is planning their own wedding, event planners who are arranging events for other people, and for people who are throwing a party; basically anything with a table and decorations. It can be for a birthday party, holiday party, or anniversary. Trying to figure out the business model has been the hardest part for me because it is something that is unique and different, especially if you are dealing with issues regarding shipping. I am still trying to figure all of that out and I am working on that, but I am getting closer. I am also working on how to handle inventory since there are so many options to choose from. What has been your favorite resource to date? I think the whole Pappajohn Center staff has helped me a whole lot, even if it is just talking through things during Accountability Sessions. It helps me stay on track with college and academics when you have a lot of other things that you could be doing. The Pappajohn Center puts many opportunities in front of you and if you want to pursue them, you can. Another helpful resource in my AESHM 474 class is making a plan that organizes financials, especially for someone who is not good with numbers. Jones shares about her business, Swoon Events Studio to a community of supporters at the CYstarters’ 2018 Demo Day event held at ISU Research Park, Core Facility on August 1, 2018. My favorite part of CYstarters was having the opportunity to work on developing my business all summer and not having to worry about another internship. It was a bonus to have access to mentors and training sessions as well. I have learned so much and have learned from different professionals and their industries, and that was really helpful. The networking events were helpful too. My dad used to tell me something related to how your idea will never become a business unless you share it with others, so my advice is to just go for it, you never know what could happen. I recommend pursuing all the opportunities that you can because you never know who you could meet along the way. How has Iowa State University influenced you as an entrepreneur? The pitch competitions were a big influence on me, that was the first time I started sharing my idea with people, so the competitions gave me momentum to keep moving forward. After that, there were a lot of opportunities that came up like the ISU Board of Governors Pitch where I got to pitch in front of some very powerful and influential people here at Iowa State University. How should others connect with you if interested?